There is a generous federal tax credit that lowers the total cost of a renewable energy system by 30%. This money-saving opportunity is available for both residential and commercial solar energy installations in Maine. Tax credits are a dollar-for-dollar reduction in income taxes owed and are therefore more valuable for the taxpayer than a write-off. Qualified expenses include the cost of the solar panels, inverter, components, and solar installation. Buying a solar system for your Maine home or business can qualify for the Solar Investment Tax Credit. If for example, you install a $10,000 solar system, the tax credit would reduce the total net cost of the system by an estimated $3,000. Commercial solar systems may also qualify for accelerated depreciation of the solar system, resulting in additional cost-savings. Speak with your tax specialist to determine if you are eligible. 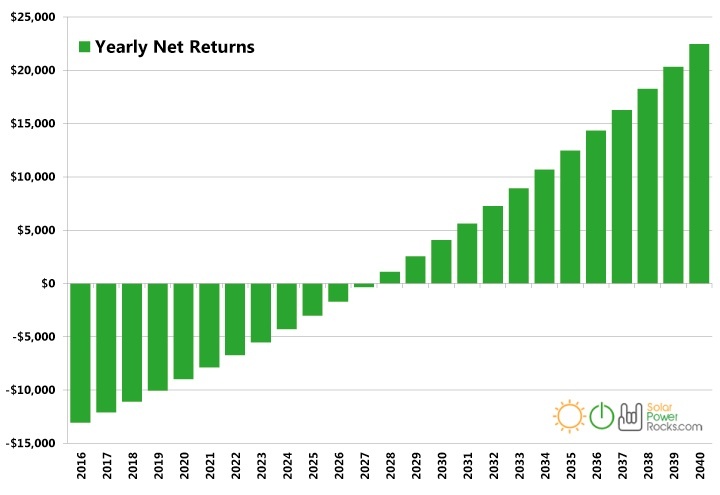 The Federal Solar Tax Credit will begin tapering off in 2020, making now a great time to invest in a clean energy system for your Maine home or business! 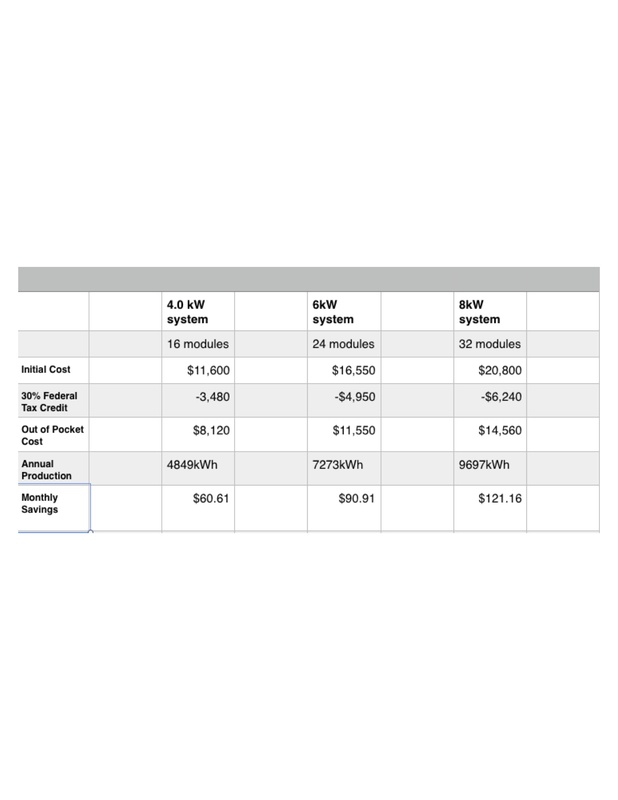 When evaluating solar power cost, there are three main considerations. The price of solar energy has declined significantly in recent years for both residential and commercial systems because the cost of solar panels and other components has plummeted. The price of your solar energy system will depend on how much electricity you need and how and where the solar panels will be installed. The Federal Tax Credit for solar system was extended for five years and is good news for Maine home and business owners. The tax credit can reduce the net cost of a solar energy system by 30%! Commercial solar systems may also qualify for accelerated depreciation or bonus depreciation of the solar system. Speak with your tax expert for details. The Sundog Solar team begins sizing your PV system by looking at your electric bill to determine the total amount of kilowatt hours used. If you provide this information to one of our solar experts, we can estimate your solar system cost and potential savings. The solar energy system size can also be influenced by the amount of roof space you have, how much of your bill you would like to eliminate, and your project budget. Net Metering allows utility customers to save money by earning credits for each kilowatt produced above their kilowatt usage for the month. Credits are used during lower production periods and are valid for 12 months. Customers pay a minimum utility charge, have access to utility power when needed but will not be reimbursed for unused credits. Thanks to strong federal incentives, there’s never been a better time to invest in a residential or commercial solar powered system in Maine. There is a 30% federal tax credit given for the entire cost of your solar electric system! Net Metering allows utility customers to save money by earning credits for each kilowatt produced above their kilowatt usage for the month. Credits are used during lower production periods and are valid for 12 months. Customers pay a minimum utility charge, have access to utility poet when needed but will not be reimbursed for unused credits. Proper system design is essential. Thanks to strong government incentives, there’s never been a better time to invest in a residential or commercial solar powered system in Maine. There is a 30% federal tax credit given for the entire cost of your solar electric system. Here’s a simple ROI for solar systems that are purchased with cash. The typical payback period is eight to ten years with many years of free energy after that.